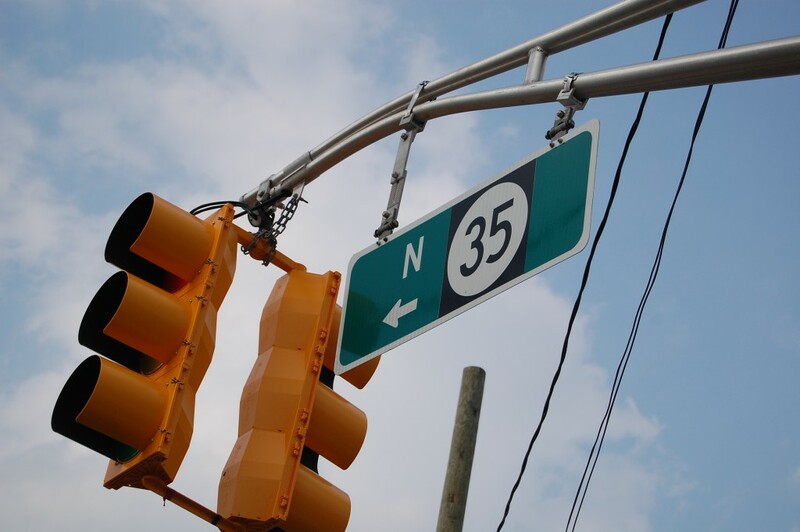 State contractors will begin a final push to complete the Route 35 reconstruction project Sept. 8 – the day after Labor Day – officials confirmed. The latest, and final, round of work will affect numerous areas of the highway. Lane closures of the highway’s southbound route will begin Sept. 8 in Brick Township, with signs already having been posted at the border of Brick and Mantoloking. According to Brick Mayor John Ducey, one lane of traffic will be maintained on the southbound highway, where the work is occurring first. After a few days of setup, paving will begin Sept. 13, Ducey said. After the paving is completed, work on various intersections will be completed. “Once [the paving] is complete, the contractor plans to take two weeks to finish all the cleaning at all the intersections, then move to northbound,” said Ducey. Much of the paving work will run from midnight to 6 a.m.
Work will also restart in Lavallette in much of the borough’s business district. The work between Brown Avenue and Bond Avenue will be completed between September and the late fall. Earlier this summer, Lavallette Mayor Walter LaCicero said the work is on track to be completed before Thanksgiving, a milestone important to the borough’s business owners who need shoppers to be able to access the road during the holiday shopping season. In addition to the work in Brick and Lavallette, final paving will be completed throughout Toms River’s northern beaches, in Normandy Beach and the Ocean Beach neighborhoods. Paving is already completed in Toms River’s Ortley Beach section, which was included in a separate contract from the northern beaches.